Having taken an extended break to await the birth of his first child and prepare and then fight boxing icon Floyd Mayweather Jr., the Irishman’s return has been highly anticipated. “I think he’s a unique guy in a very – it’s almost like we don’t have a word strong enough [to describe him]. Unique isn’t a strong enough word. . . He’s got brilliant ability. He’s incredibly smart. He’s very innovative in his techniques and his approaches and I think he has phenomenal coaching as well. “He’s a combination of a lot of things. He has a brilliant team. John Kavanagh, his coach, is a brilliant coach. He’s got amazing jiu-jitsu coaching and striking coaching and his mind, he understands how to apply these things. His ability to perform under pressure is fantastic. You saw that in the Mayweather fight. Even though he lost that fight, he hit Mayweather with some pretty good shots and he won the first three rounds against the greatest boxer of all-time. That’s extraordinary. “I don’t think it hurts his stock in any way. I think it elevates him. His next fight in the UFC, whoever it will be, will be probably the biggest fight in UFC history, especially if it’s Nate Diaz because Nate Diaz is a huge name. If Nate Diaz and him decide to do it one more time I think that will be the biggest fight ever in the history of the sport because I think Conor has eclipsed the sport, largely. To further Rogan’s point, McGregor’s story has been deemed worthy enough to show on the silver screen. 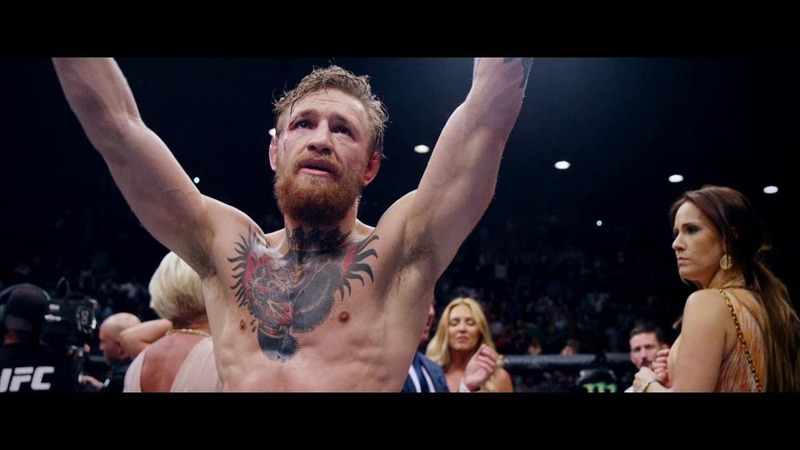 “Filmed over the course of 4 years, Notorious is the exclusive, all-access account of Conor’s meteoric rise from claiming benefits and living in his parents’ spare room in Dublin to claiming multiple championship UFC belts and seven-figure pay-packets in Las Vegas,” the movie description claims. The movie will be released in theaters in Ireland and the UK on Nov. 1, in the US on Nov. 8 and Australia and New Zealand on Nov. 9. Is Conor McGregor Holding the UFC to Ransom?